Urbex photography often depicts abandoned buildings in a creative new light. But in the case of Detroit’s Michigan Theater, little imagination is required on the part of the photographer. 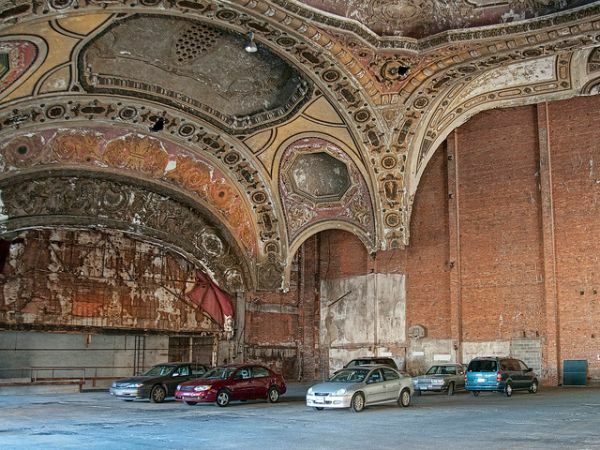 Long disused, the Michigan has been transformed into Detroit’s only Italian Renaissance-style parking garage. Built on the site of Henry Ford’s first automobile workshop, the building has ironically returned to the place from whence it came.